Massimo Viola lives in Piacenza (Northern Italy). He is a curious and passionate reader of art history. 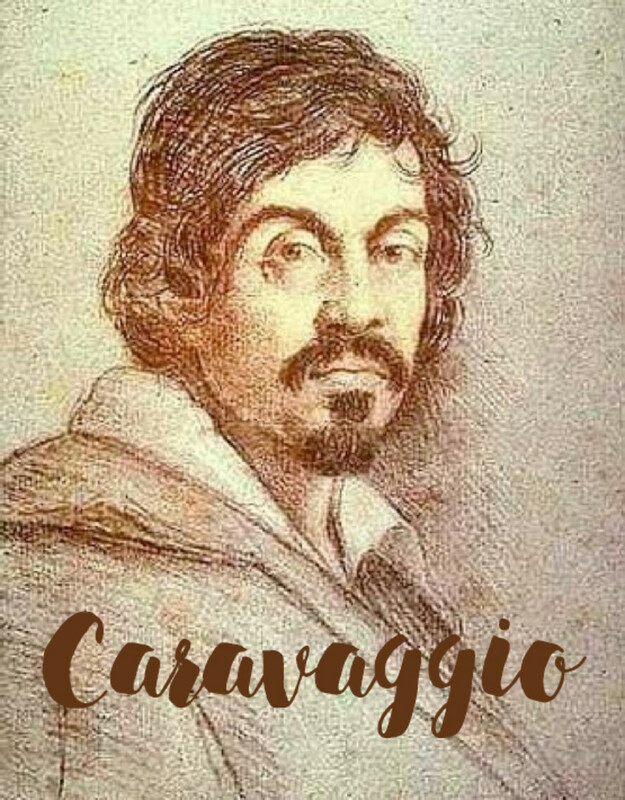 We know that the life of Caravaggio (Milano, September 1571 – Porto Ercole, July 1610) has been dismayed of violent episodes that led him to frequent the prisons of Rome and to flee quickly from nearly every places he has lived in. His contemporary biographers (the doctor of the Pope and art collector Mancini, the painter Baglione, who denounced him for defamation and the art historian Bellori) did not love him and probably emphasized the violent aspects of his life. “He died badly – writes Baglione in his Lives – as badly he had lived”. However, his life was also pervaded by an extraordinary energy and ambition, if it is true that in the 18 years we know of his artistic work, he produced more than 80 works and from the road he arrived to be the most admired painter in Rome, protected by a refined intellectual such as the cardinal Francesco Maria Del Monte, ambassador of the Grand Duke of Tuscany in Rome, and dearly paid by the Roman “tycoons”, who evidently had a longer view than the contemporary critics. 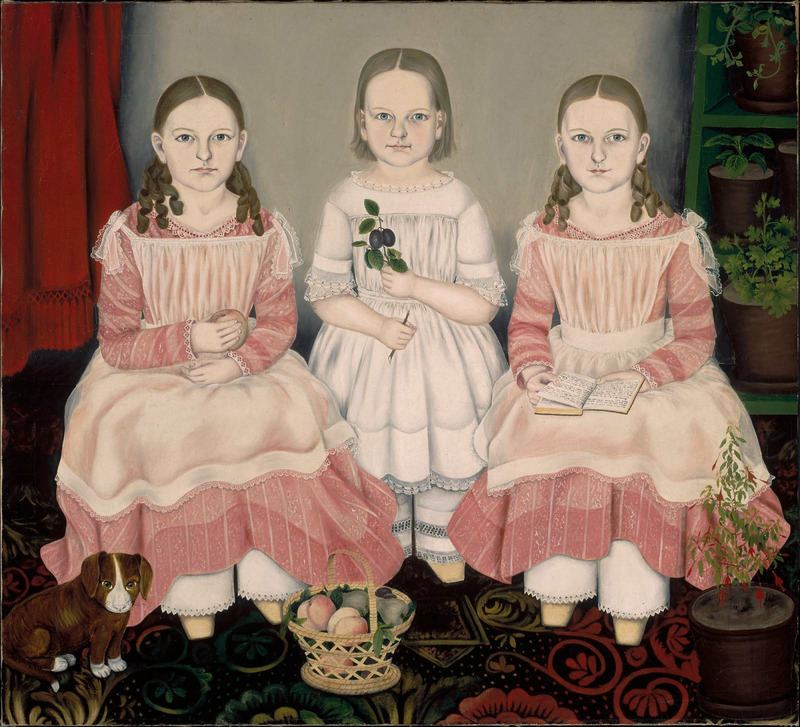 Eighty great paintings in 18 years mean a hard work and a great engagement. What this hard work has signified for Western art history is simply affirmed by the art historian André Berne-Joffroy, who says that modern painting begins in the works of Caravaggio. So, all modern painters are somewhat debtors, consciously or unconsciously, to his great intemperate genius. The true name of Caravaggio is Michelangelo Merisi. 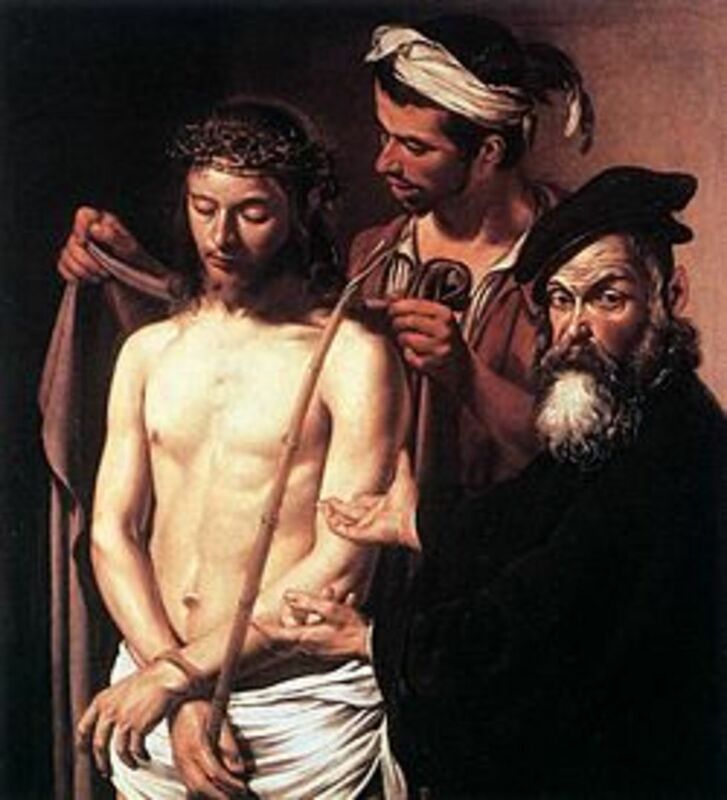 The name Caravaggio comes from the small city, south of Bergamo, where he was thought to be born, but the discovery of his certificate of baptism has proven that he was born in Milano instead. His father, Fermo Merisi, was employed as an architect or an administrator for Francesco Sforza, exponent of a cadet branch of the powerful Milanese family and Marquis of Caravaggio. Francesco Sforza had married the young Costanza Colonna, who belonged to the most powerful Roman family (her father Marcantonio was a protagonist of the Lepanto battle, named Viceroy of Sicily by Philip II in 1577). Probably Costanza had an important role in the education of the young Caravaggio and in protecting and assisting him later, during his stay in Rome and the run to Naples after the death sentence. The father of Michelangelo died in the epidemic of plague that had hit Milano in 1577, the mother Lucia, with her three children, took refuge in Caravaggio. At the age of 13, in 1584, Michelangelo was sent to the workshop of the painter Simone Peterzano, in Milano, where he stayed four years. 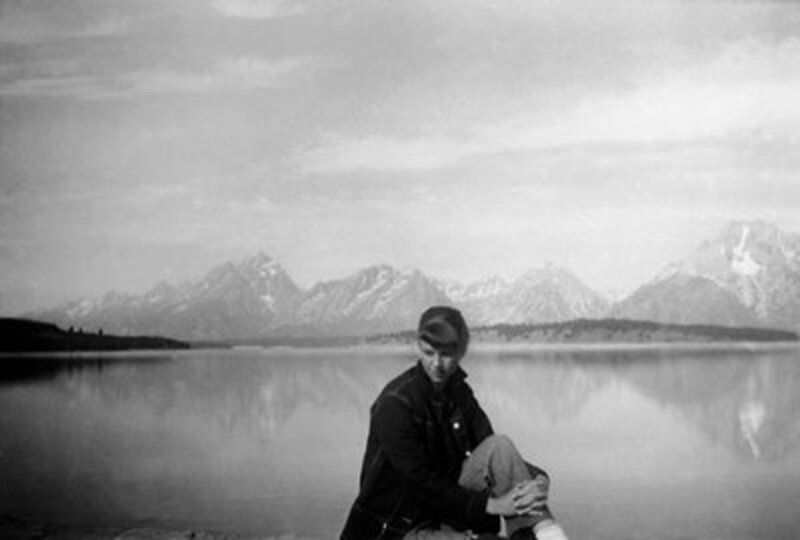 Peterzano was a careful administrator of himself and very attentive to the trends of the time. 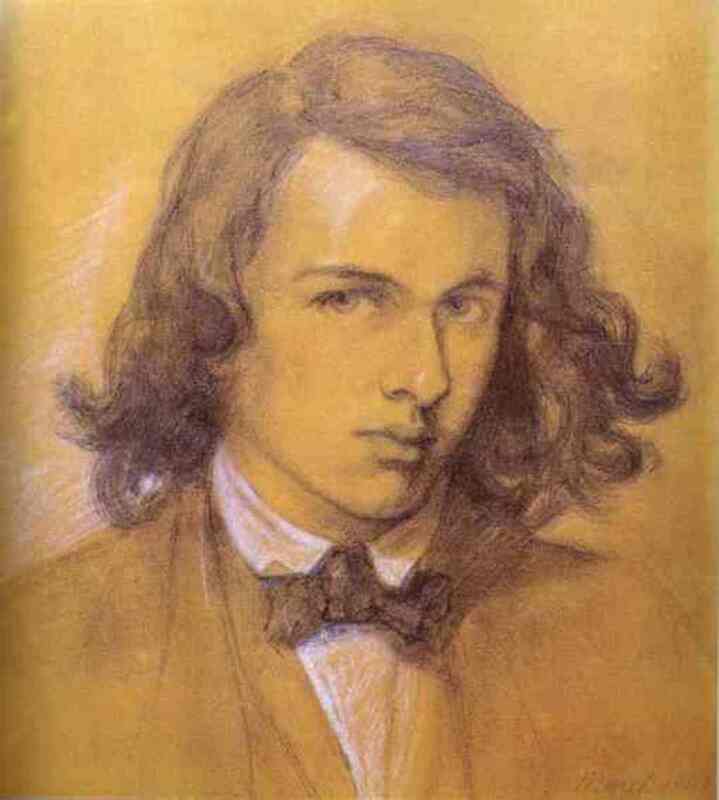 He transmitted to his pupil both the Lombard realism and the Venetian sense of the colour and the light. 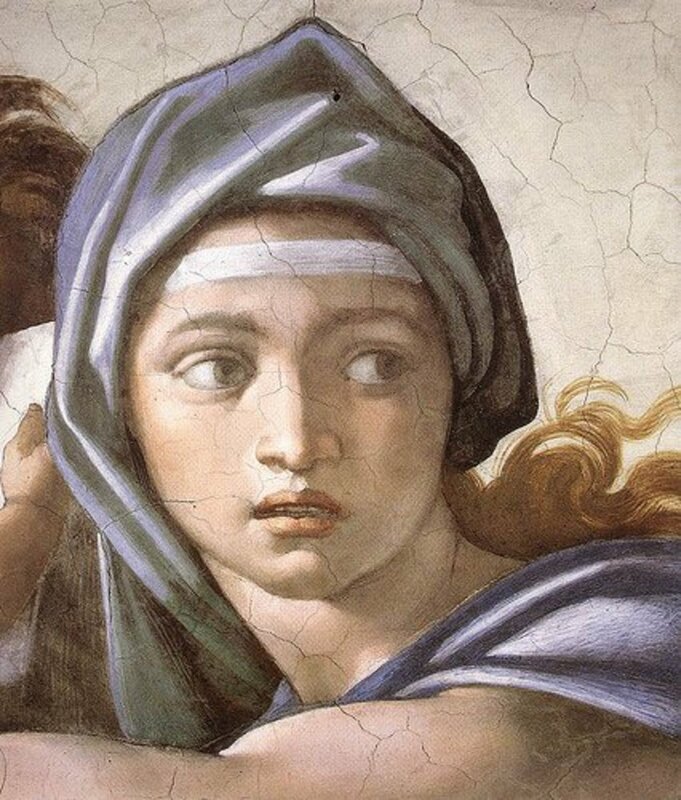 Lucia died in 1591, Michelangelo divided the inheritance with his brother and his sister and went to seek his fortune in Rome. According to his biographers Mancini and Bellori, this is the first of his escapes due to criminal acts. 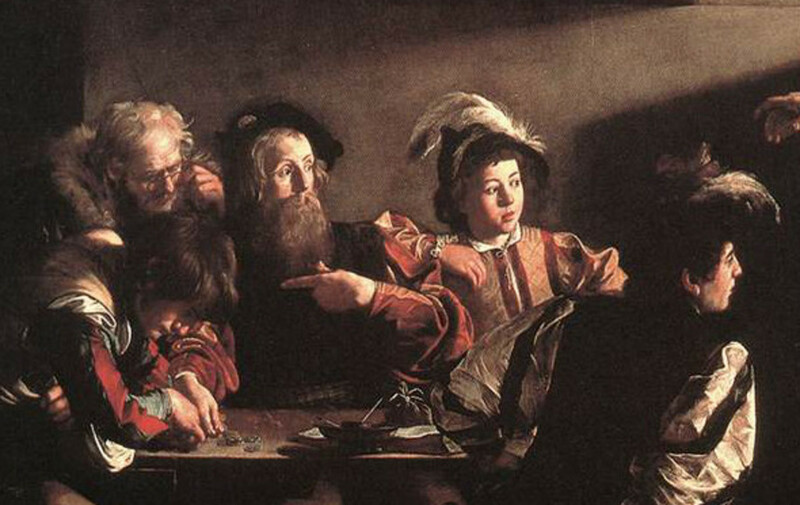 Nevertheless, Caravaggio might have been led to Rome simply by his ambition. In that period, Rome had fully recovered after the sack of 1527, it was a popular destination for the artists from all over Europe and surely could offer more opportunities than Milano. When Caravaggio arrives in Rome, he settles in the home of Pandolfo Pucci (whom he calls “Monsignor Salad” because of the scarce food). He leaves this accommodation soon and begins to work in the workshops of some obscure painters. The first years are hard, he lives poorly, gets ill (probably with jaundice) and has to go to the Hospital of “Consolazione”, an institution of charity which receives the poor people. Recovered from the illness, he finds a more satisfactory employment at the shop of Giuseppe Cesari (also known as the Cavalier d’Arpino), who was the most considered painter in Rome. Cesari put him to paint flowers and fruits. 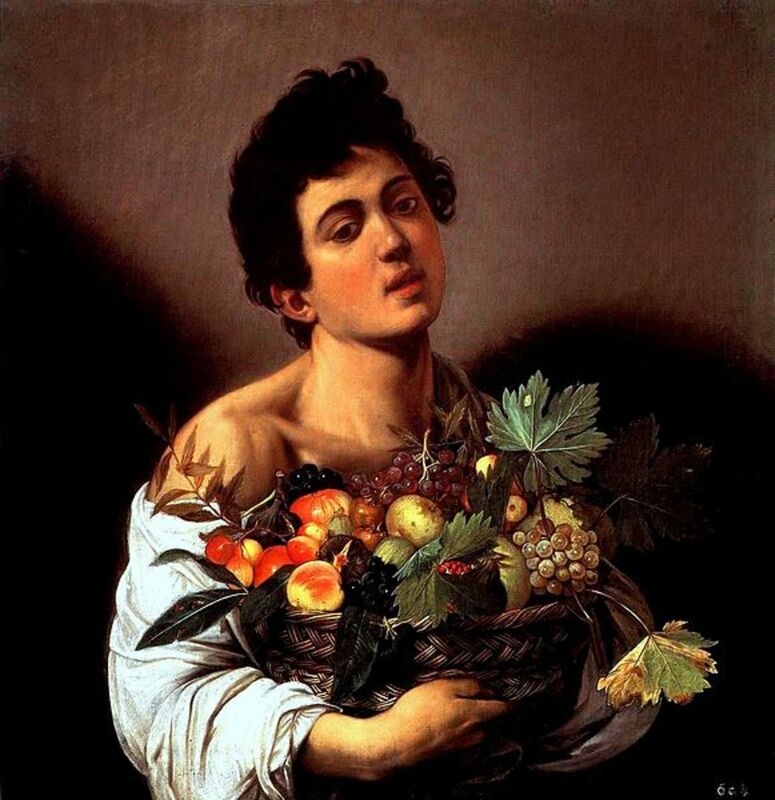 The Boy with a Basket of Fruits, one of the first known works of Caravaggio, dates back to this period and fully shows the Lombard roots of the artist. In Rome the still lifes were considered a genre of secondary importance, but in Lombardy, where Caravaggio had trained, they were searched and appreciated by collectors. The painting clearly shows its debt with the Lombard naturalism, in the accuracy of the details of the fruits and in the cone of light which evidences the boy’s face and the muscles of the neck and shoulders. The tax collectors of the Pope Paul V seized this canvas to Cesari, mercilessly, in 1607. 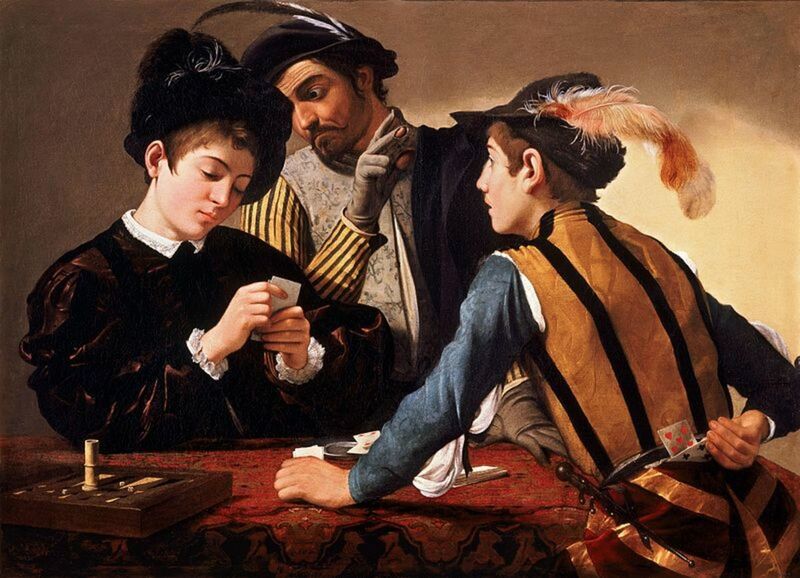 The first works by Caravaggio in Rome are inspired by scenes on the road, where the subjects are gypsies, travellers, card players caught in the instant of their action, illuminated by a bright light. In the Fortune Teller, a gypsy slips off the ring from the finger of a wayfarer while reading his hand, enchanting him with her words and more with her eyes. The Cardsharps represent two cheaters who deceive a boy. The subjects are dressed with the clothes of the people that Caravaggio could see in the streets of Rome, rendered with a splendid realism. The holes in the gloves of the cheater in the Cardsharps are equivalent to the bruising of the fruits in his still lifes: the reality represented as it is. These two paintings represents a turning point in the life of Caravaggio. The cultured cardinal Francesco Maria Del Monte buys them for his own collection and calls Caravaggio, who had left the Cesari’s workshop and was getting by as best he could with his Sicilian friend Mario Minniti, to live in his palace (Palazzo Madama). 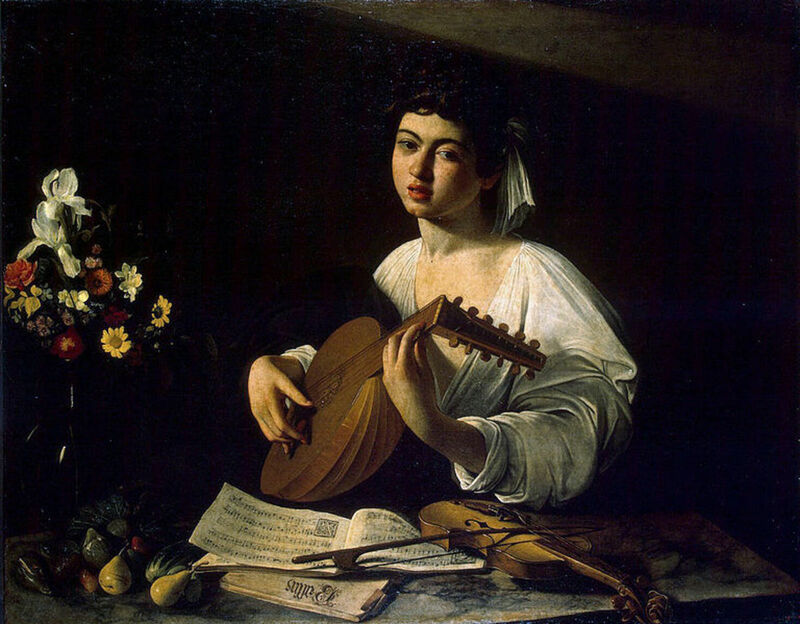 The Lute Player and the earlier Musicians reflect the different atmosphere that Caravaggio could breath at the Del Monte’s palace. The road is replaced by an indoor environment, with boys dressed in ancient robes. Del Monte was a passionate musician: the instruments and the music sheets represented in the painting come from his collection. Caravaggio considered this painting, prised also by Baglione, the best one he had produced until then. The vertical still life of the carafe with flowers in front of the lute player, is completed by the horizontal still life of the fruits, the music sheets and the violin on the table. The painting was bought by a friend of Del Monte, the banker Vincenzo Giustiniani, one of the richest men in Rome, financier of the Pope and a future great estimator of Caravaggio. A second copy, displaied at the Metropolitan Museum of New York, was painted by Caravaggio for Del Monte. The model has been identified with Mario Minniti, the same person who appears in the Bacchus and in other paintings, friend and maybe lover of Caravaggio. Caravaggio had been able to obtain the appreciation of the rich private collectors and his name was beginning to be well known in Rome. However, he needed to try also the representation of stories (“historie”), i.e. essentially episodes from the Bible, regarded as the most arduous genre, if he wished to become a painter considered for the public commissions. Judith and Holofernes responds to this new ambition. The painting had been commissioned to him by a Genoan banker, Ottavio Costa, friend of Vincenzo Giustiniani. 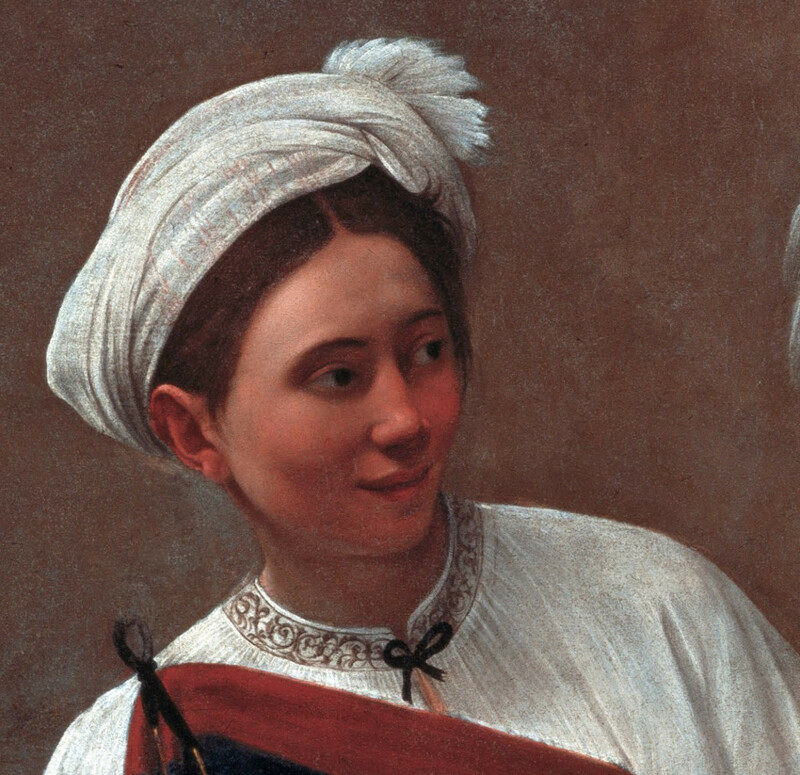 The model used for Judith is the courtesan Fillide Melandroni, lover of Giustiniani. Fillide had already been used in an earlier painting, with scandal, for the role of Saint Catherine. 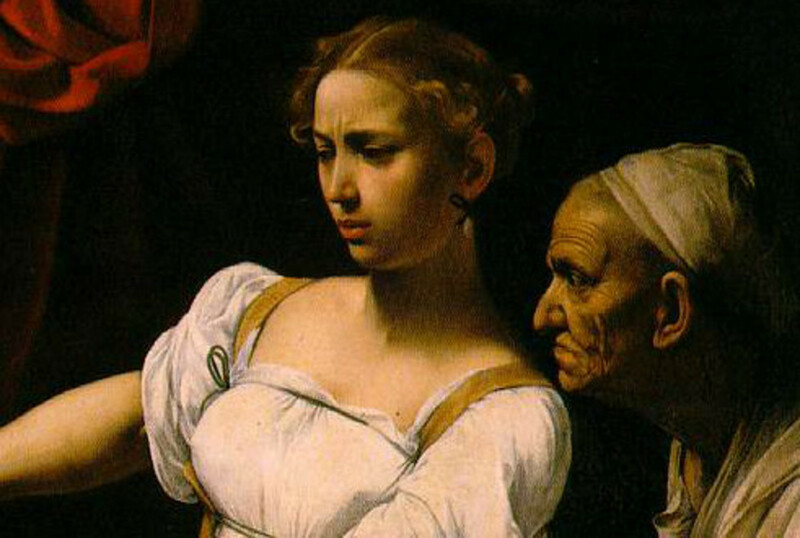 Caravaggio represents the fact while it is still happening, studying the expressions of the three subjects, detectors of their internal “motion of the soul”: the mouth of Holophernes open in the scream, the face of Judith concentrated in the effort, the careful and curious expression of the old servant, contrasting with the young beauty of Judith. 1599 marks another important turning point in the life of Caravaggio: his first public commission. The cardinal Contarelli, the French Mathieu Cointrel, had died in 1585, giving exact instructions in his will for the decoration of the chapel he had bought two decades before in the Church of St. Luis of France. The executor of the will, Virgilio Crescenzi, had assigned the commission to the Cavalier d’Arpino, the former master of Caravaggio, but he was too busy by the more prestigious papal commissions and had left the work uncompleted. In 1599 the congregation of St. Luis of France begun to feel nervous in seeing that the chapel risked to be unfinished for the holy year 1600. The cardinal Del Monte obtained Caravaggio to be assigned the completion of the work. He honoured the commission with two enormous canvases (a. 320 x 340 cm each, 126 x 134 in) done in record time. Two enormous canvases in the place of frescoes (Caravaggio made only one fresco in his life, in oil painting, for the Casino Del Monte) was an absolute novelty for the Roman churches. And more was the representation of the subject. From this painting, the light becomes the fundamental means of expression for Caravaggio. The light enters the room of the tax collectors, it repeats and underlines the gesture of Christ, who indicates Matthew with his hand, reveals the avid faces of his companions. The success of the two canvases in the Contarelli Chapel had consecrated Caravaggio as maybe the most glamorous painter in Rome. 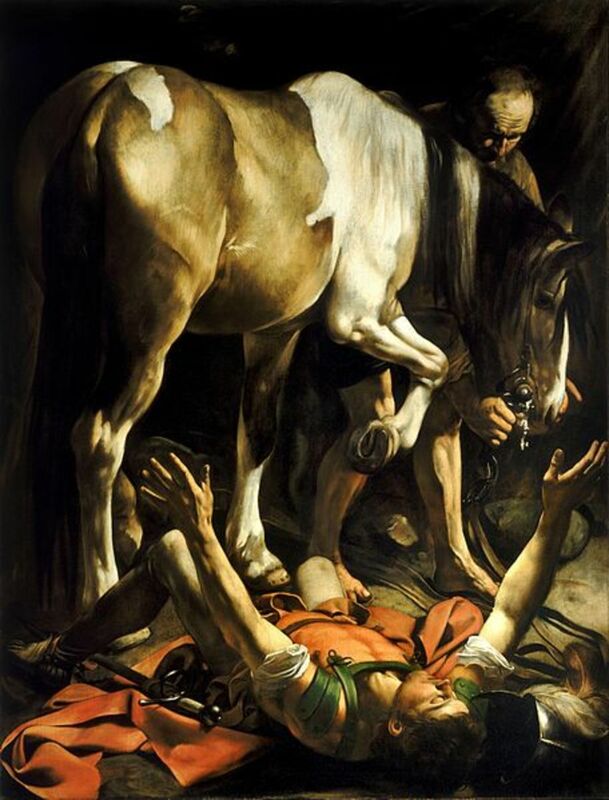 In fact, the second public commission follows immediately, thanks to another friend of Vincenzo Giustiniani, Tiberio Cerasi, who had bought a chapel in the church of Santa Maria del Popolo and had offered Caravaggio the considerable amount of 400 “scudi” for two works representing the conversion of St. Paul and the crucifixion of St. Peter. For the decoration of the chapel, Cerasi had commissioned a painting also to Annibale Carracci, from Bologna, the other rising star of the time. Cerasi died before the paintings were completed. 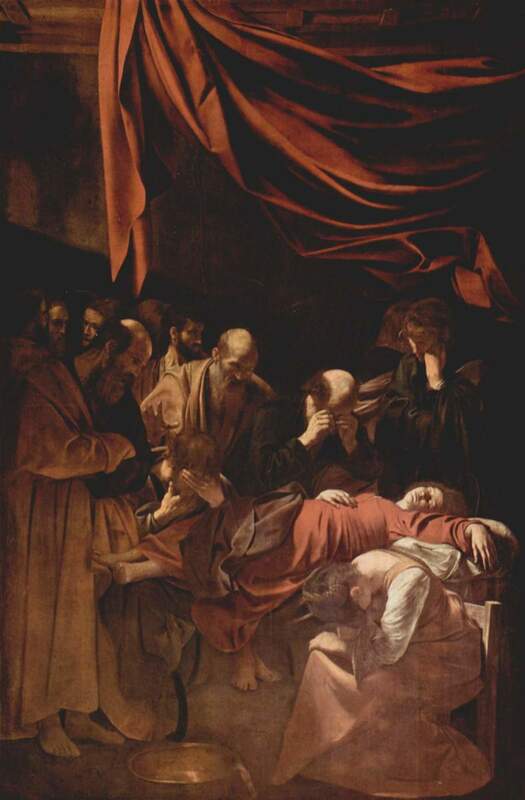 The Hospital of Consolazione, the same where Caravaggio had been hospitalized some years before, heir to the Cerasi’s estate, had accepted the Assumption by Carracci, but refused the two canvases by Caravaggio, who had to execute two new versions of the subjects. In both the Conversion and the Crucifixion, the representation is raw and realistic. Only the light, which fixes the instant of the action, is revelatory of a divine presence. 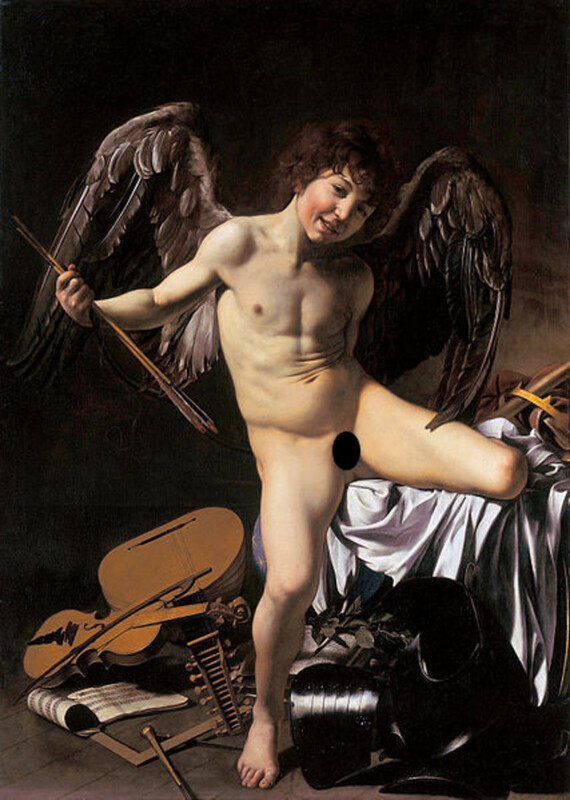 This Cupid testifies the enormous popularity achieved by Caravaggio among his contemporaries. The painting had been commissioned to him by Vincenzo Giustiniani for the sum of 300 “scudi”, probably around 1602-1603. Thirty years later its value was 10 or 15 times greater. Joachim von Sandrart, who had wrote up an inventory of the huge collection of the banker, considered this work as the most valuable among the 15 Caravaggio’s paintings in the collection and had suggested to cover it with a green cloth and to show it only at the end, to not obscure the merit of the other paintings. What especially was striking in the painting, it is the perfection of the Cupid’s body, which, says Sandrart, “was painted with a great precision, with such colours, sharpness and emphasis to stay only a little behind with respect to real life”. The model for the painting was Cecco Boneri, the young apprentice of Caravaggio, who became in turn painter. The raw realism, the use, for religious subjects, of courtesans or people recruited in the street, had caused to Caravaggio several problems with his customers, so that often he had to elaborate a second version of the paintings destined to the chapels of the Roman churches. Death of the Vergin is an eloquent example of this. The painting was destined to the chapel of Laerzio Cherubini in the church of Santa Maria della Scala, but it was removed as soon as it was placed in the chapel. The religious could not accept a Virgin figured with a swollen belly and livid feet. Furthermore, Caravaggio had used as model the well known courtesan Maddalena Antognetti, lover of many Roman VIPs (the woman seems to be at the origin of the attack of Caravaggio to Pasqualoni, a notary of the papal state: the fact forced him to escape to Genoa). So, the painting entered the great collection of the Gonzaga in Mantua, was after bought by the King of England Charles I Stuart and it is nowadays displayed at the Louvre Museum. When Caravaggio was a guest at Del Monte home, the palace was frequented by another famous character, only a few years older than the painter: Galileo Galilei. In fact, Galileo’s father had written an essay on the need of a simpler and more natural music that had found the agreement of the Del Monte circle. The brother of Francesco Maria Del Monte, Guidobaldo, was a fine mathematician and a friend of Galielo. The two brothers had supported him in his academic carrier and later during the process of the Inquisition. It is very probable that Caravaggio had met Galileo at the palace, so that someone sees the scientist portrayed as Pilato in the Ecce Homo, painted by Caravaggio in 1601 for the cardinal Massimo Massimi. This is the most challenging work by Caravaggio in his stay in Naples. It was commissioned by the Pio Monte della Misericordia, a congregation of aristocrats who wanted to represent the six works of mercy enounced by Christ plus the burial of the dead, which was a relevant problem for the city, due to recent famine. 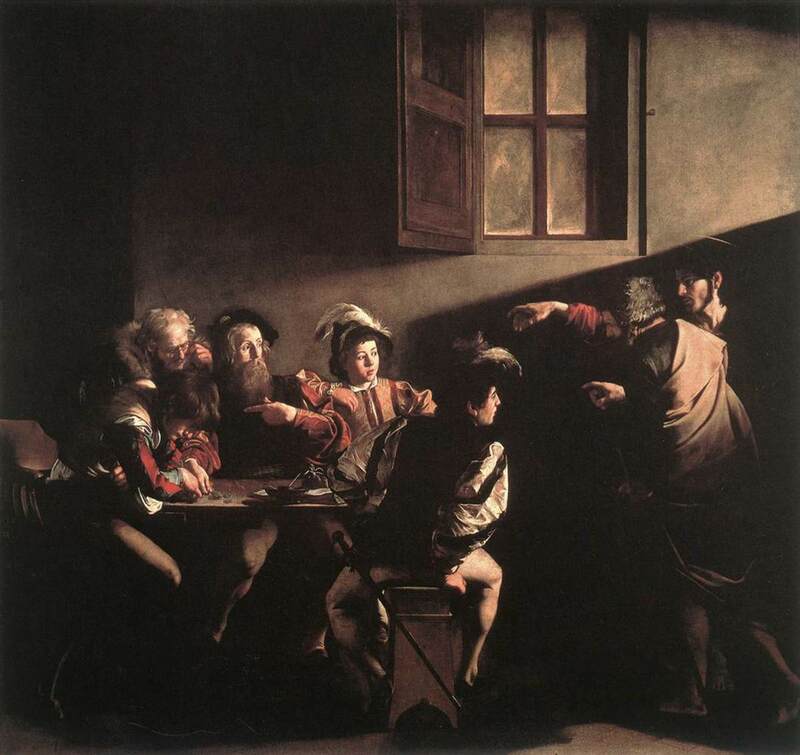 Caravaggio retakes the architecture of the Martyrdom of St. Matthew, in the Contarelli chapel and creates a vortex of characters, inspired by the street life. The figures form an unique group, but each one has its own part in the representation of the mercy works. From the top, the Madonna with the child and two angels project their own shadow on the scene. 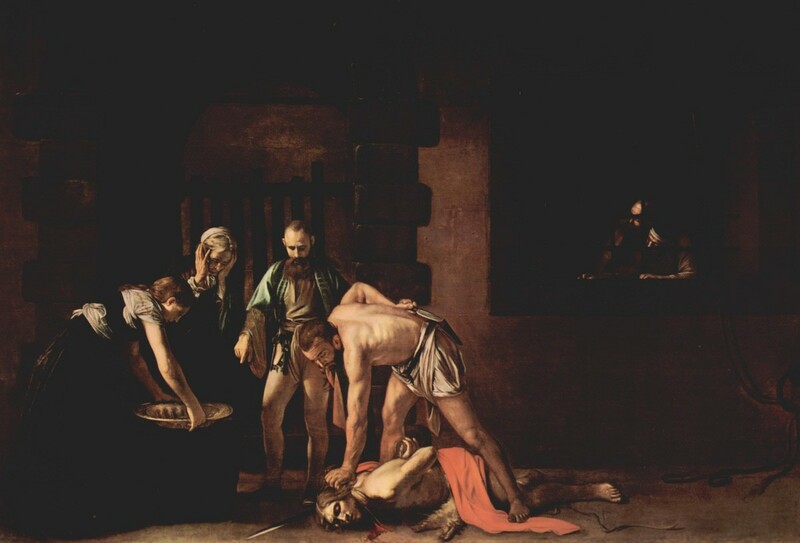 Caravaggio had to leave Rome after the death sentence issued in 1606 for the murder of Ranuccio Tomassoni in a brawl. The sentence stated that Michelangelo Merisi was condemned to beheading and that anyone who might meet him could execute the sentence. The reason of the brawl seems to have been a discussion for a foul in a ball game (pallacorda, a kind of tennis). 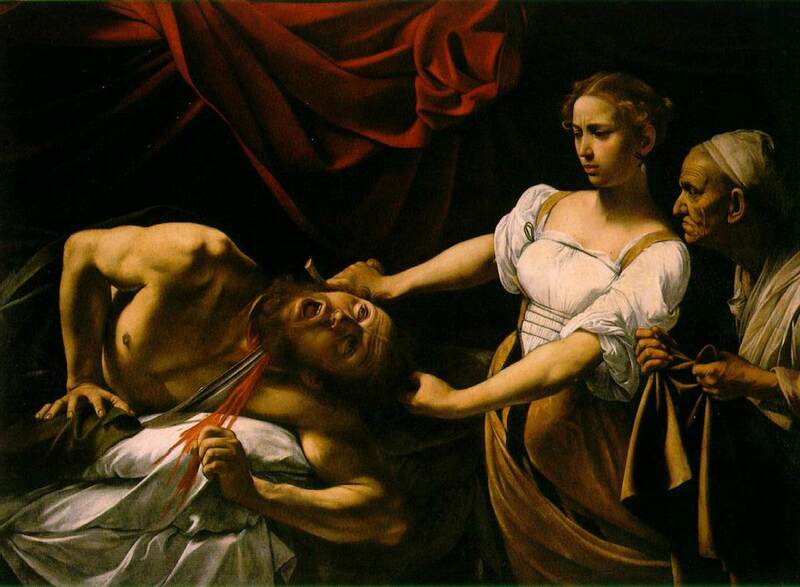 But probably the two had other reasons of disagreement: the contention for a woman (the Fillide Melandroni who appears in Judith and Holophernes) and some debts that the painter had not paid to Tomassoni. It was not the first trouble he had with the Roman justice. In 1603 he had been sued by the painter Baglione because of some defamatory sonnets. In 1605 he wounded an officer of the papal state, Pasqualoni, and escaped to Genoa, probably helped by the marquis Costanza Sforza Colonna, who had come back to Rome after the death of her husband. 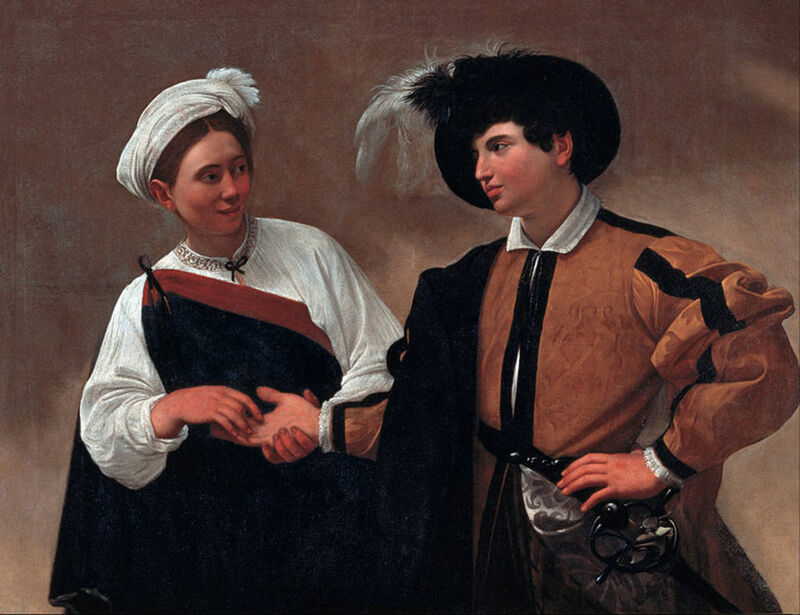 It seems that the Genoan prince Doria was so enthusiastic of Caravaggio art that he offered him the incredible amount of 6,000 scudi for the decoration of the loggia of one of his homes. 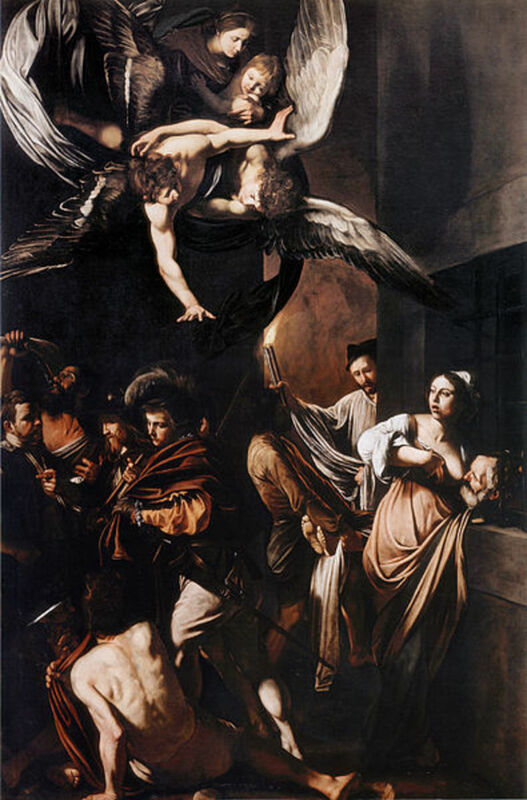 However, Caravaggio returned to Rome and combined the mess of the Tomassoni murder. After the process, he stayed some while in the possessions of the Colonna, in the south of Rome, then escaped to Naples, where he was hosted by Luigi Carafa Colonna, nephew of Costanza. Naples was in those times one of the biggest cities in Europe, much bigger than Rome. There, Caravaggio obtained several commissions and worked hard for one year, before leaving for Malta in 1608. With the probable help of the Colonna, Caravaggio found a way to escape the sentence hanging over his head. The second son of Costanza Colonna, Fabrizio, was the commander of the fleet of the order of the Knights of St. John of Jerusalem, based in Malta. This religious order was accepting the young aristocrats who had some trouble with the justice and gave them a sort of immunity. It was the perfect solution for Caravaggio too. The artist was welcomed by the Great Master of the order, Alof de Wignacourt and became Knight of the order in July 1608. Apparently, his troubles had finished. Meanwhile, he had portrayed Alof de Wignacourt and another knight of the order, Antonio Martelli. The Beheading of St. John (an immense canvas of 3.5 x 5 meters) was probably commissioned to him by Fabrizio Sforza Colonna, for the oratory of the Knights in Malta. Caravaggio represents the fact just happened, with the blood which flows on the ground and the gesture of despair of the woman on the left. The light fixes the inevitability of the event, the impossibility of coming back. This is the only known canvas signed by Caravaggio. He put his name on the blood of St. John, maybe thinking to his own death sentence. As a confirmation of the turbulent character of our hero, when everything seemed turning to the best, Caravaggio gets again into trouble. Because of a mysterious fact, he is arrested, imprisoned into the fortress of St. Angel in Malta and expelled from the order. The circumstances of the arrest and the nature of his crime are unknown. However, once again, he is able to escape (he was an artist of the escape), probably with the complicity of the Colonna and to refuge in Sicily, to Syracuse, where he is welcomed by his old friend Mario Minniti, now a celebrated local painter. The senate of the city commissions to him a painting, representing Lucy, patron saint of the city, to be placed in the church dedicated to her. Here, Caravaggio shows quicker brushstrokes, the light wraps and shapes the bodies, rather than to fix them. 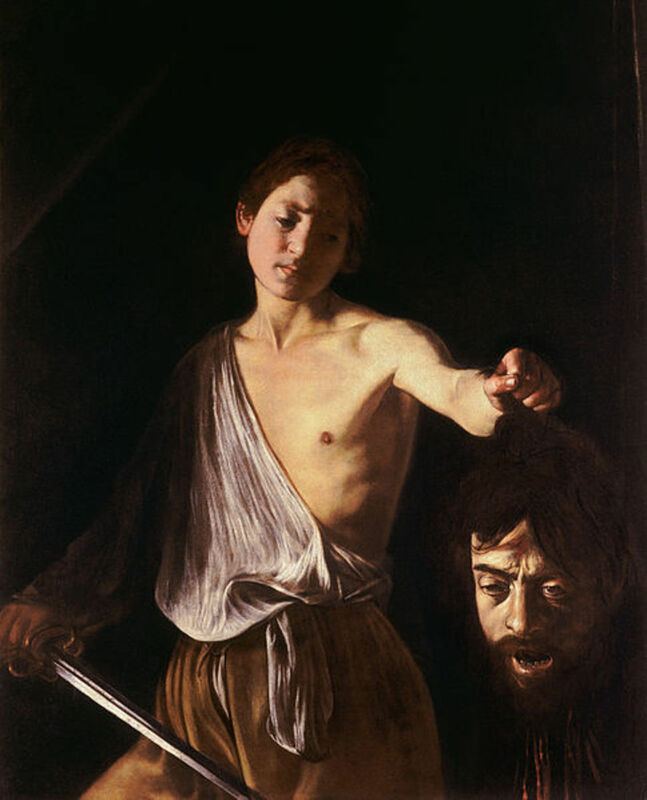 After the death sentence, Caravaggio represents the beheading at least three times: in the two versions of David with the Head of Goliath and in the St. John in Malta. The first version of David with the Head of Goliath (housed in Wien) dates to 1607. The second, more problematic version is commonly dated between 1609 and 1610, during the second stay of Caravaggio in Naples. Thus, it is one of the last paintings of Caravaggio. The bleeding head that David takes by the hair is an evident self portrait. David looks at this with a sentiment of pity, very different than the proud gaze of the first version. This has led someone to conjecture a double self portrait: David is the young, pure Caravaggio, while Goliath is the old sinner Caravaggio. The inscription on the sword (H.AS O S) should be a message easily decipherable by the recipient (probably it means Humilitas Occidit Superbiam). All these arguments make it plausible that the painting was sent to the cardinal Scipione Borghese as a gift for the pope Paul V to have his pardon and the permission of returning to Rome. The pardon was granted, however Caravaggio did not enter in Rome again. He embarked to Rome, but, maybe to wait for the official news of papal grace, he landed in Porto Ercole (i.e. about 100 KM on the north), where a high fever took him. He died at the hospital in a few days. Michelangelo Merisi da Caravaggio, painter, died due to illness. The bones of Caravaggio had still to be in the cemetery of the place where he died, Porto Ercole. Led by this conviction, the researchers have been able to individuate some remains, among the many samples collected, containing a great quantity of lead and mercury, two elements used in oil paints at Caravaggio’s days. 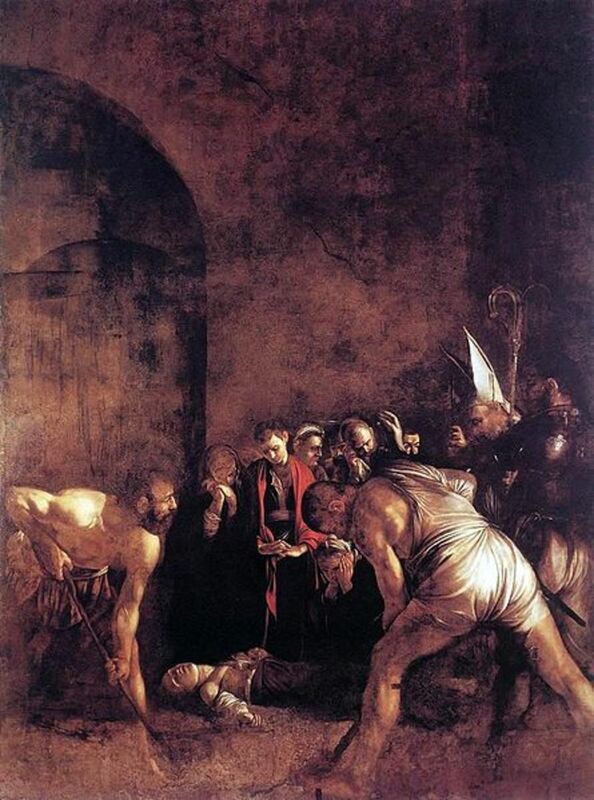 The comparison of the DNA of the bones found with that one of the descendants of the painter’s brothers has allowed to conclude, in 2010, after nearly one year of studies, that with a high probability the bones found in the common grave of the cemetery belonged to Caravaggio. A so high concentration of lead may also have contributed, scientists say, to his death and may have conducted him to a kind of madness. This would also explain some excesses in his behaviour. 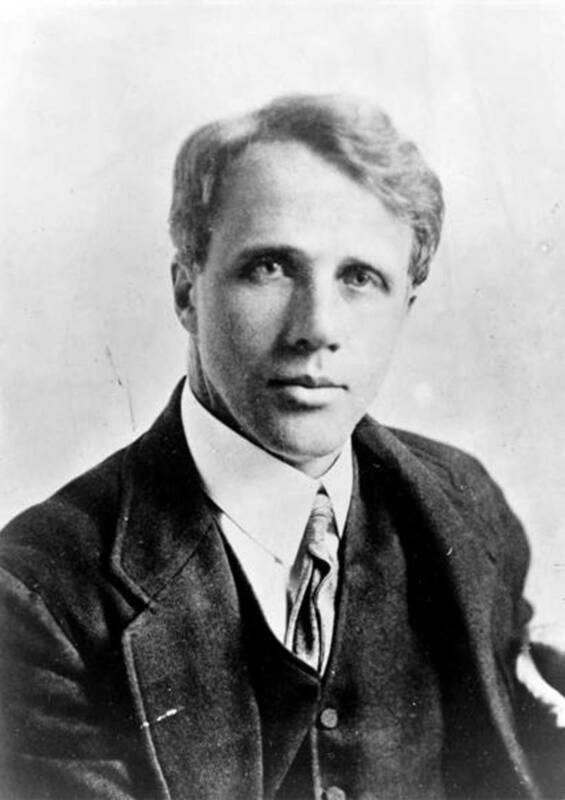 Excellent historical and analytical Hub of this great but troubled artistic genius. Great job, Mviola. Perhaps, one of the greatest Italian artists of all time. His Work spoke volumes of his character. I believe elements in his paintings were inspired by Sandro and Giorgio, no doubt. They embodied the human condition so well. A shame he died at such a young age. I'm looking forward to your next article friend. I like the subject matter and the research that was done to crank out this article. Good hub!